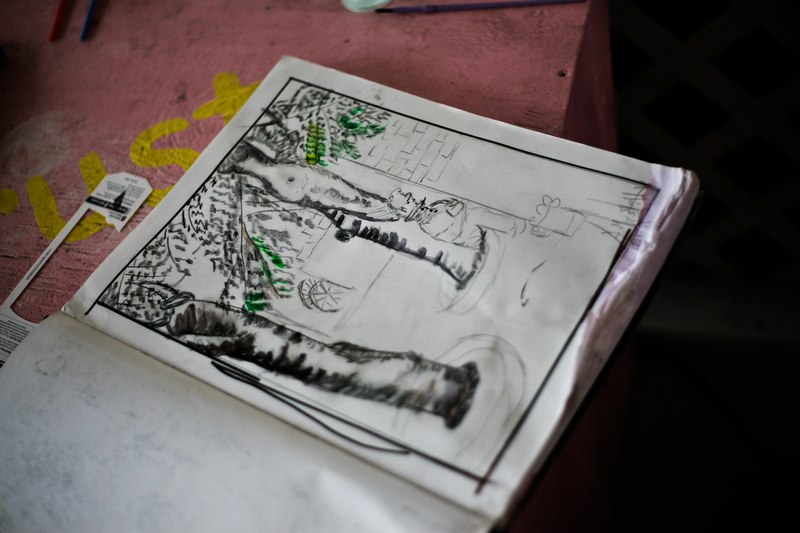 An unfinished watercolor piece done by a resident at the Next Step Homeless Shelter in Kaka’ako. The Kickstarter project was fully funded as of two weeks ago, and I am anxiously awaiting the arrival of the CARE Medical Bracelets. The outpouring support has been an incredibly encouraging and motivating source of energy these past couple of months. There are many individuals in my community who are interested in also helping with the outreach and bracelet distribution! I wanted to take some time to thank the Kickstarter backers who opted to have a personal thank you credit appear on this website. For those of you who I know in-person, you can expect a hug from me when I see you again! And for those of you who I do not know yet, I would like to extend my sincerest gratitude for supporting this cause. ← Today is Today, Tomorrow is Tomorrow. I am very moved at reading your blog, and your devotion to reaching out to the homeless. I will be back to continue catching up on your journey and will leave a donation to help. The lord has greatly blessed you by finding your father and being able to get to know him. Let us know how we can help with people that are in their situations, thanks. I,do like to help how ?